Ever wonder what’s the best buildings in town for living? Rex Vietnam has selected for you, the Top building in HCMC. This selection has been made using several criteria based on what you may be looking for: First, the quality of the accommodation and facilities. 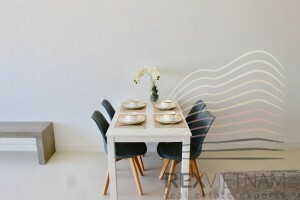 Second, the location (close to school, peaceful-environment, shops and restaurants). Finally, the price range. Located in Binh Thanh District, City Garden is near several shops and schools and only 10 minutes away from the city center. The contemporary ‘wave’ towers creates a striking visual identity for City Garden – unique and timeless yet Vietnamese in character. Indeed, those buildings were designed by award winning Australian Architects PTW. The design achieves good passive solar orientation, maximizing views, sun shading and integration of landscaping. 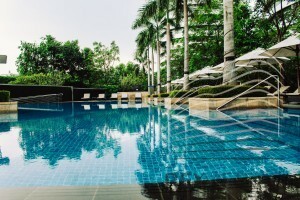 The facilities offer two swimming pools, a gym center, several children area and gardens. The bar-restaurant between the two swimming-pools is the perfect place to enjoy a drink in a beautiful and peaceful environment. Here you can find the type of apartments we have for rent and an average price for 1-2 and 3 bedrooms. This building is ideally located only 15 minutes away from the city center, and within walking distance to most activities and facilities in Thao Dien (Bar & Cafes, International Schools, Hospital etc.). The Nassim is a brand new premium condominium, offering a wide range of facilities such as swimming pool, children pool, playground, BBQ area, sauna, Jacuzzi, gym, yoga room, reading room, billard, karaoke room and so on. 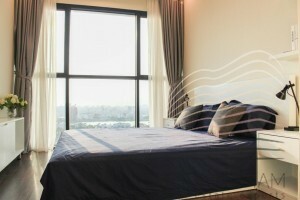 At the Nassim you can enjoy a luxurious urban lifestyle in Ho Chi Minh City. Here you can find the type of apartment we have for rent and an average price for 1-2-3 and 4 bedrooms. Gateway is located in Thao Dien, District 2, only 15 minutes from the city center. You can enjoy a urban lifestyle and top facilities around without the hustle and traffic of District1. Gateway Thao Dien building is a premium condominium project from SonKim Land in collaboration with Hamon Development, comprising 436 residential units. 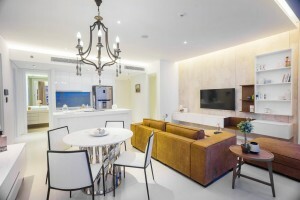 Located in Thao Dien (expat area), The Ascent, built in a Singapore-style condominium offers a calm and relaxing area while being only 15 minutes away from the CBD. Situated in the heart of Thao Dien, everything is at walking distance ! From the best international schools to all the activities you might think (shopping-coffee-restaurants-sports an so on). Within the Ascent you will be able to enjoy three swimming pools (1 large pool, 1 large heated pool, 1 kids pool), gym, yoga room, and BBQ area. Here you can find the type of apartment we have for rent and an average price for 1 and 2 bedrooms based on the square-meters. The Pearl Plaza is located on one of the main road going from District 1 to District 2 within less than 10 min in each direction. This all in one building (Residential, Commercial and Retail) offers a 5-storey Commercial Center with high-end shopping malls, amusement parks, children’s play area, dining area and especially with Megastar movie theaters (CGV). Fresh Supermarkets are located in the basement B1 area of 400sqm- Swimming pool and GYM room, living room communities are located in the 6th floor- Professional security 24/24 h.
All you may need is at hand. Here you can find the type of apartment we have for rent and an average price for a 2 bedrooms based on the square-meters. Want to learn more about investing or renting in Vietnam? We assist you in all your real estate projects. Contact us at contact@rexvietnam.com or visit rexvietnam.com for more information. 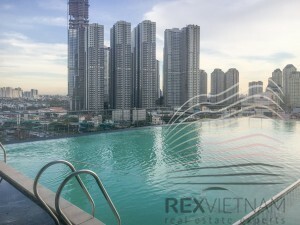 Rex Vietnam, your real estate partner in Ho Chi Minh City. Follow us on Linkedin and Instagram.